When the nurse approached Jack’s bedside with a promise of morphine, there was no struggle. Then Jack lay beside the window of his third floor room and he knew, that if his spirit went walkabouts, it would almost certainly return to him before dinner. Jack was always a sucker for weekly roast, no matter how greasy it was. Jack smiled, closed his eyes and gave up his spirit to the alternate reality of morphine. The Spirit of Jack looked down upon his sleeping body, there in room forty-seven on floor three. He wafted around his room as a cool breeze that came from no open window. With a great sigh, the Spirit passed through the wall to the corridor outside and drifted through unnoticed. The nursing home offered streams of amber light at this time of the afternoon and as a novelist in his previous years, Jack had an eye for noticing every little chunk of crusted pumpkin decorating the chairs, every crooked painting on the wall and the stale, acidic air that permeated from each open room. The corridor was dim in the glow of the amber peeks of light and despite the shenanigans of the morning routine, all was quiet. Nothing but the tock of the clock by the elevator could be heard and with the lack of visitors these days, the absence of the elevator’s purr signified how it slunk from the top floor to the ground, curled up and slept, awaiting the next visitors. Just before the entrance to the dining hall, was a yellowing copy of Monet’s ‘Water Lillies’ and the Ghost paused to face this, then floated right through, to find himself on a bridge overhanging a very small lake, overflowing with explosions of coloured domes, sitting serenely on the water’s surface. He passed over the bridge, beyond the painting, to an emerald knoll where a small boy was sitting in a circle of stones. Jack knew these stones to be not formed by ancient druids, but by himself as a child, who came here to escape the call of his mother before the school bus each day. Jack moved towards his younger self, who, sitting in the centre of the stones, wasn’t phased by the rustle of the grass and lazy bend of the flowers. He always thought they seemed to speak to him, tell him of their day, of what they’d seen. The Spirit looked at the lake, then. And looking hard enough, time and space changed to show him one lake in the very same, and a small boy hugged by a tartan rug, hunched by a boulder. This winter, he remembered the water lillies had not yet exploded and at night, the lake was a flat, crow black looking glass, that reflected a maze of stars and it seemed that the still reflection held frozen torches of light, as they were mirror images of the planets in the moonless night. The smaller Jack had always thought each star represented a story, one of the many to blanket the universe. Perhaps they were all the stories told in the ancient world, that floated up and became light for the new world, guiding luminosities in the night sky. Then, he would look down into the perfect mirror of these stories and reach out, to ever so gently, dip his finger in, to create a ripple, that disturbed the night scene, and each copy of the story, each image of a star, would dissolve into what seemed to be dozens more reflections of the one star, as they rode out the waves of the ripples, until, the lake returned once more, to the stillness of the night. But that was in winter and as the Spirit traveled forward again to the spring afternoon, he found himself, once again pondering on his younger self in the circle of stones by the lily-laden lake. He remembered sitting there, trying to gain inspiration for a story. The budding novelist he was, he hadn’t yet settled on a style. Perched on a stone in the circle, Jack had clear view of the grass around and surrounding village below. He thought to himself. Perhaps, I can write about the flowers and how they whisper in the breeze. Maybe I’ll meet a beautiful lady in the meads, full beautiful, a faeries’ child. No. Perhaps, I can write about Mrs. Beynon in the village yonder. Perhaps I can write about her day, as a kind of diary. Or maybe I can record the sinister thoughts she’s thinking. No. Or, I can write of her daughter and how she stole kisses from the night the last time sailor Leonard was in town. No. What about if I write of her sister and how she stole more than kisses from Mr Manlowe before he left town. No. I could even write of how and why Mr Manlowe left town, tracking russet footprints in the snow, feeling no need to answer questions of the missing kitchen knife. No. Perhaps I am to write down this list, for this will form the basis of a good story for me today. But will the heavens accept my story as a new star? Or has my orientation, climax and resolution been lost in the list? Perhaps, I’m destined to write poetry. And with that, the younger Jack had recorded all his musings of genres and thoughts, ideas and pains on the side of a stone, like a slate, and hadn’t ever returned til now, and if he did, he would have noticed a brighter sky that night. That spring, the clouds had lifted and dispersed into the heavens, opening up whole new constellations, but their light was weak, as each story he had mused had been left unfinished, and yet became the substance of the bright night sky. As the Ghost of old Jack faded from this scene, he found himself backing out of a framed version of ‘Starry Night’ by Van Gogh on the second floor. Backing onwards, he wafted through the door into another person’s room, and found a small child, maybe a grandson, playing on the floor with a train set at the foot of his grandmother’s bed. Looking harder at the train set, the Ghost of old Jack found himself staring at a locomotive, pistons screaming and huffing puffs of steam that cloaked the train in a blanket of wispy mist. Floating away, so as not to get caught in the water droplets of steam, the Ghost moved closer to a seat bathed red in an aggravated glare reflecting the sunlight of the midday. He sat, aged 30, with a small notepad, a fountain pen in his hand, and a lead behind his ear. A woman came up to him then, sat beside him and crossed her ankles, to perch close enough for Jack to catch a hint of exotic fruits, maybe from her shampoo, like mangoes and citrus, as she leant closer. ‘Oh, what type of cat?’ she queried, intrigued. ‘I’m unsure yet…I need to set the scene…’ he fumbled through his notepad. ‘Yes, but I er- I can write about a fluffy white Persian that sits on your lap by the fire, or I may be writing about a stray tom on the prowl through your trash,’ he explained, matter-of-factly. Then and there, the Ghost of old Jack knew his past self should have left the conversation earlier, because they obviously didn’t meet eye-to-eye and he could’ve made some small talk about the time of day or something. But he was insistent on letting his reader interpret meaning for themselves, because he’d read choose-your-own-adventure books and knew they were a lot of fun. And anyway, how could the reader understanding what he meant, when he hardly understood what he meant himself? The previous pages in the notepad had actually sported drawings of lions, big cats of the wild, untamed and unpredictable. The Ghost of old Jack then lifted himself out of the dust jacket of the little girl’s copy of ‘Animalia’, the Graeme Base picture book that had been given to her for her fourth birthday. The small girl sunk deep into the sofa in the reception area of the ground floor in the nursing home and the Ghost of Jack drifted slowly from the presence of the girl towards the fire escape stairs and standing at the bottom of them, he looked up and up and up and up at the numerous flights of stairs that seemed to be going no where in particular, but each having a purpose and a duty to their floor. Floating up through the labyrinth of levels, floor one showed him a teenage boy reading ‘The Kiss’ by Peter Goldsworthy by the closed curtains of his relative, as the nurses turned her over. Floating up once more, he saw an older resident reading ‘The Kiss’ by Anton Chekov. Shaking his head, he wondered if each author had written a different or similar story, or if the readers knew they were one generation and one floor apart from becoming a new text. The floor above, showed Jack a scene of an old man, receiving a kiss on his papery hand and he wondered, if the texts of ‘The Kiss’ were of greater importance on the reader than the real kiss on the receiver. Perhaps the real kiss was of more importance to this man, than those stories, given the priest was in earlier that day to say the last rites. The Ghost, passing through all the walls on the thirds floor to come to his own room, saw himself and with a great sigh, settled back into his own body. It was then, that every memory he had ever had came back to him, all at once. Flashes of important things, pens, paper, steam trains, stones, stars, books and fragments of his life revealed themselves to him in synchronic moments and he wallowed in this pool of memory. Do these fragmentations define who I am? Do these faint shadows and fleeting reflections of my life reveal the truth about my life, or how life in the 21st Century has become? Quick as he could, he reached beyond his tub chair to a pen and paper on the window sill beside him, but, in the time it took for him to reach, each memory slowly petered out until, there was a mere trickle of what his spirit had just experienced. And in Jack’s final attempt to find meaning of what had just happened, episodes of his life that he had visited and where he was to go from there, his memory gave in. Meaning was lost, it seemed, until next Sunday, when roast was on the menu again, and his spirit would venture abroad once more. Film analysis: Andrea Arnold’s working class aesthetic. Andrea Arnold is a British director who is claimed by academics and critics as being influenced by many traditions of social realist films. Her pastiche of social realist elements and neo-realist elements together with her own distinct style allow for her to create a new aesthetic, a working class aesthetic. Through production and editing techniques such as casting, cinematography and framing, Arnold is able to represent the working class aesthetic where life is presented, but no judgement from the auteur-director is passed. In acknowledging this, it is crucial to recognise that Arnold does not create wholly objective films. In fact, these techniques act as subtle manipulations in creating a sense of intimacy with the audience, attempting to elicit a sympathetic understanding from the viewer. Such techniques can be found in Arnold’s films Milk (1998), Wasp (2003) and Fish Tank (2009). Arnold creates a working class aesthetic through a number of production elements, such as natural lighting, non-professional actors, location shooting and an observational style that “continues earnestly to dictate a contemporary and brutally honest neo realist agenda” (Ahmed, 2010). While Fish Tank used actors with varying degrees of experience, for example, Kierston Wareing had previously performed with Ken Loach and Michael Fassbender has numerous film credits, Arnold cast unknown actor Kate Jarvis to represent the working class and play the protagonist Mia because of her very real emotions. “I always wanted someone real for Mia”, says Arnold. “I wanted someone who would give me trouble for real. I wanted a girl who would not have to act, could just be herself”. (Artificial Eye, 2009). 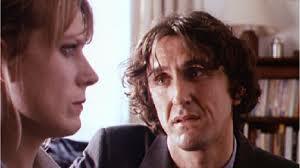 In creating a sense of authenticity, Arnold decided to shoot the film in chronological order in order to help Jarvis stay on top of the narrative arc; “she withheld the full script not just from Jarvis but from all the actors, revealing the plot to them only a few days in advance to keep their reactions real.” (Mullen, 2009, p18). Upholding a tone reminiscent of the social realist tradition, Arnold represents the working class by softly mocking modern attitudes towards bourgeois and celebrity aspirations, especially the ‘rags to riches’ tale because “people think they can have anything – and they can’t” (Mullen, 2009, p18). Plot-wise, Mia’s naivety about the nature of the dance club lends to her endearing qualities of innocence and vulnerability. Arnold “doesn’t judge her characters at all. She doesn’t put them into safe boxes, making obvious heroes and villains. Her characters are more ambiguous than that, and her stories leave you with something to think about.” (Drake, 2010). However, while this may be true, we are subtly manipulated to sympathise with the protagonist and her situation. Mia’s naivety is not only captured by use of an unknown actor and a chronological script, but also through cinematography. We see Mia’s world through her eyes, creating a sense of intimacy. 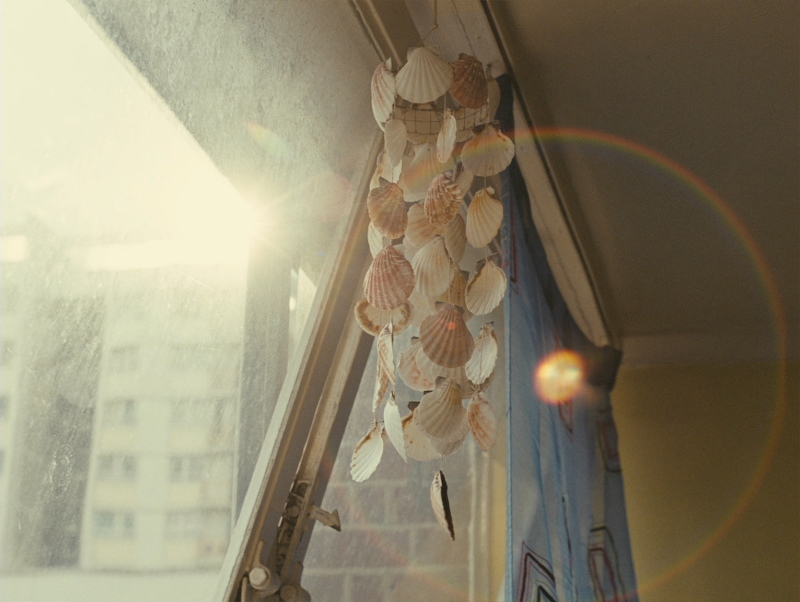 Arnold chose to “shoot in the unusual 1.33:1 aspect ratio, so the screen is almost square” (Calhoun, 2010), so Fish Tank feels more like a series of personal Polaroids than TV, while the glare of the sun often dances across the lens in the manner of home snapshots. Arnold’s choice of shooting through the summer of 2008 adds a bright, warmth that cuts through the bleak grey colour grading, creating an atmosphere that is less miserable than the traditional social realist films. In terms of proxemics, Arnold keeps Mia at a close distance through mid-shots and close-ups, keeping Mia centered in the frame so as to show us her world from her point of view. Crucially, we’re there, alone with Mia on her journey. “We know there’s more to Mia than antagonism and kneejerk violence and we’re curious about what’s going on in this girl’s head” (Calhoun, 2010). These small moments of insight into a very harsh character are what the audience needs to identify with the protagonist as an individual, and this sense of empathy attributes to a positive representation of the working class. As well as notions of the individual, Arnold creates a sense of community in the council estate. We are invited to witness a story that may be representative of an every-man’s story in the working class scene. Arnold establishes this through the sound design, which is full of upbeat music from somewhere within the estate, and noise, foley that captures the life and interactions of the people in the background. The sound not only represents life in the estate, but it also drowns out life outside of the estate. The sound design of the film is a “celebration of the people living on that estate enjoying themselves. There’re all kinds of things in the film that counteract a bleak picture” (Fuller, 2010), adding a tone of optimism in the working class scene. This exploration of the individual within the wider community experience places emphasis on the private space of the home as having links to the ideas of development of a private identity, or sense of interiority. The idea of home as a sanctuary and a locus for interiority has clearly been shown to be “contentious, not least for women, for whom the domestic sphere has often been a place of oppression, violence and confinement” (Cuming, 2013, p328). In this regard, the sense of belonging to a community, is tribal perhaps even primal. Interior shots in Wasp hold kitsch mise en scene, a stagnant lack of background sound and bleak faded tones in sharp focus, as illustrations that the young family may not have much, but they have each other. In contrast to Wasp, Fish Tank is couched in a background sense of community, and the film often draws attention to the fact that this is one story from the many lives on the estate. By using panning shots and wide angles of the exterior, the interconnected apartments and the bustle of people therein, the audience is constantly reminded that this is not the tale of one person. Arnold has defended her choice of title, claiming that Fish Tank referred to the microcosm of resilience and life found in such council estates, recalling a “cheery survivalism.” (Mullen, 2009, p17). As Arnold claims, “they’re full of life, I mean, that’s just how most people live. It’s probably a better way to live than a lot of middle class lives which are more isolated and more lonely and have less community.” (Arnold in Mullen, 2009, p17). This sense of cheery survivalism is a common theme throughout Arnold’s films, especially Fish Tank and Wasp. Arnold’s use of kitsch mise en scene displays her attention to detail, with extreme close-ups of cat stickers, butterfly mobiles, pigeons and lights for example, beautifying such a bleak experience. The mise en scene in the background uses images of sunny palm trees as symbols of escapism reinforced by the soundtrack ‘California Dreaming’. Arnold repeatedly juxtaposes family life to the “escapist diversions of reality shows which hover in the background as a symbol of political and social inertia” (Ahmed, 2010). Arnold’s emphasis on micro details in Fish Tank, is quite minimalist in style. In doing so, Arnold merges the traditions of social realism with that of transcendental cinema to create an “urban story that stresses an immediacy in which the over used political rhetoric of broken Britain is undeniably current” (Ahmed, 2010). These undercurrents of political rhetoric add to Arnold’s working class aesthetic. By focusing on select images, such as sharp focus on detail in the mise en scene, to tell the story, Arnold subscribes to the ‘show, don’t tell’ structure of storytelling, leaving the judgement up to the audience. Imagery, particularly social imagery, tends to be symbolic, rather than expressive. “You can suggest a subjective experience in a film, for example, by using point-of-view shots and close-ups. But these are not what you think of as ‘political images’” (Williamson, p101-2, 2001). Milk is an excellent example of this, as we are able to see the protagonist’s mental state after a shocking event, then we are able to follow her emotional journey as it is told through close-ups on facial expressions, gesture and jump cuts to a ‘narrating’ partner, sometimes with off-screen dialogue. Arnold uses jumps cuts effectively here as a storytelling device, propelling the plot forward by providing a perspective that is distinct from the point-of-view we are supposed to be empathising with. This use of jump cut is also effective in Wasp, when used to juxtapose the scenes between the protagonist inside the pub and her daughters outside the pub. In an objective contrast, we see the action and decide for ourselves where the plot may go, which in turn heightens tension and draws the audience in to connect with characters and situations that are quite difficult to identify with. Although Arnold embraces a fly-on-the-wall documentary film-making style in which “real people have real feelings at a real moment in time” (Raphael, 2009) Fish Tank is in a sense melodramatic, especially since it follows the traditional structure of a coming-of-age story. “The bildungsroman and autobiography in particular have traditionally emphasised the relation between homescapes and the formation of identity” (Cuming, 2013, p328). Arnold’s use of fast-paced hand-held camera increases the intimacy of the scenes, placing us immediately in the action. Arnold connects us to the protagonist, by letting us see everything through Mia’s eyes, as Arnold “never steps outside to explain things from any other point of view” (Ebert, 2010). This was because one of Arnold’s chief concerns was to “foster viewer empathy for her troubled protagonist” (Thomson, 2010, p18). Arnold coined the technique ‘slooge’ during scenes of heightened emotion, where the scene is in slow-motion, using 48 fps for intimate and sensual moments (Thomason, 2010, p22). The film also communicates sexual attraction in more sensual terms using these “slow-motion close-ups of Mia enjoying the physical closeness of a piggy-back ride or breathing in Connor’s freshly-spritzed aftershave when he bends over her” (Williams, 2012). This creates a feeling of euphoria and connects with the audience, creating a strong point-of-view to identify with. As well as this, Arnold’s heavy reliance on hand-held camera not only places the audience in the thick of the action, but it also increases tension and gives the film a more authentic, documentary-style feel; a pastiche distinctly part of the working class aesthetic. Arnold’s direction is not straightforward. Fish Tank is a moment of adolescent longing and in the sensual scenes with Conner (Fassbender), Arnold she gives the camera restricted view, bathing the room in red light, slowing the pace through slooge. The sound drops away to leave nothing but anxious breaths. “Watching it, you are made to feel like an intruder. This scene simultaneously tempts and repels the viewer and is in a sense… voyeurism” (McKay, 2009). These camera techniques aid Arnold’s creation of a working class aesthetic by distancing the audience by creating an air of authenticity and legitimacy in social reality, then pulling the audience back in emotionally, connecting through intimate moments with the characters. This sense of voyeurism is a conscious act on Arnold’s part because despite her careful control of the shooting process, there’s a part of her that resists the role of film-maker as omniscient puppeteer; “instead, her work constantly returns to the dangerously conflicted connection between watcher and watched, and the transfer of power within that exchange” (Mullen, 2009, p19). In this respect, surveillance is a metaphor for emotional distance, particularly in the disturbing, increasingly intimate gaze of Connor. In an interview concerning her realist style, Arnold said; “I was constantly trying to find a way to feel what she’s thinking, and experimented with those moments to try and find that place… if I’d been thinking, ‘I’m going to make a social realist film,’ then perhaps I wouldn’t have done things like that and something would have been lost.” (Fuller, 2010). In finality, there is one question to ask. Is there a danger that Arnold’s representation of the working class reinforce working class stereotypes? Or will people understand what Arnold is trying to create? Arnold’s representation of the working class is “marked by simple, unsettling images and intricate editing, their surface harshness is shot through with complexity and compassion” (Screen Online, 2014). These endearing elements, a compassionate camera and her attention to beauty will hopefully connect with an understanding audience. Her storytelling elicits empathy and emotional engagement and thus her conscious departure of neo-realism through emphasis on intimacy and humanity help establish her working class aesthetic, resonating throughout her films.